A hearty welcome to Highlands Lodge. We are situated in the beautiful Waboomskraal Valley, nearly halfway between Oudtshoorn and the George on the N12. To overnight on this beautiful farm is an unforgettable experience. 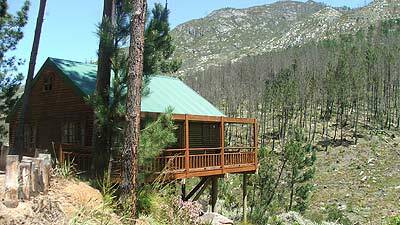 The lodge is surrounded by mountains and the mountains together with the exotic plants of the Klein Karoo create a quiet serene atmosphere. We provide crockery, tablecloths etc. 10 - 25 people - R130 per person. More than 25 people - R120 per person. Bushmen had been observing the movements of the planet Jupiter and its satellites with the naked eye long before civilised astronomers had made the discoveries which are now common knowledge.